Reports are starting to come in on the "Best Recordings of 2008," and here is an interesting compilation from Jens F. Laurson on Ionarts. Feel free to post additional lists here. Bruce, Thanks for that link, I enjoyed reading through it. None of my own hits from the year there. However, the Prokofiev box sounds like it is a winner and it is nice to read unqualified praise for Jarvi Snr for a change. None of my own hits from the year there. Do share... what most tickled your fancy this year? Well, I tend to specialise in vocal discs. In no particular order. The new Halle Dream of Gerontius conducted by Elder. I have reviewed it on the 20th Cent choral thread. David Daniels singing Bach, reviewed on the vocal recital thread. Nielsen Alladin suite on Naxos, fun music, highly crafted. Goligov; the songs and chamber piece from his disc Oceana, but not the title piece. Mozart Magic Flute in English conducted by Sir Charles Mackerras, beautifully paced and sung. 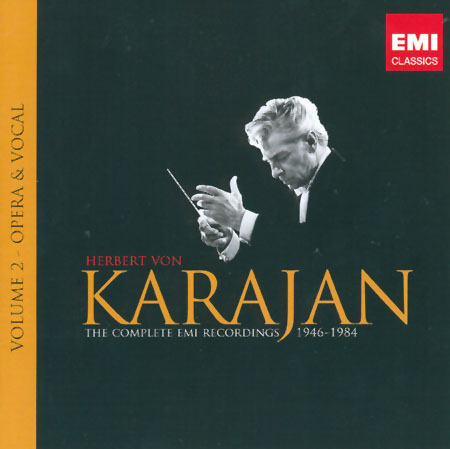 Karajan: the EMI vocal set of 71 discs. So many famous recordings; I am months later still mining it. A stunning, exuberant Australian ballet receives its first recording in decades - maybe the first complete recording ever? But what fun it is! This is a minor masterpiece in the gloriously zany tradition of Revueltas and Australian Aboriginal folk music, complete with a humongous percussion arsenal and a bull-roarer, an instrument which plays a major part in the final climax and which sounds like, well, an extremely angry cow. This is fun music, big music, crazy music, a tremendous brew of diverse influences given one of the most thrilling orchestral performances I've ever heard, in dry acoustics that let every instrument be heard. As intriguing a listen (if you don't take it too seriously) as it is an important discovery. Probably my favorite CD all year. Pity that the "Aboriginal art" on the CD's cover is so obviously fake. Given the excellence of Janowski's Brahms cycle so far, it's no surprise that this is a terrific Fourth: thrilling first movement, perfectly-paced slow movement, cheery scherzo, and a finale with all the appropriate emoting. 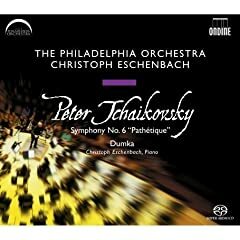 Strong momentum and phenomenal playing from the Pittsburgh Symphony Orchestra; the incredible audio - whether you listen in SACD or regular - is just icing on the cake. But there's more icing, too, actually: in contrast to Marin Alsop's recent coupling of the Brahms Fourth to a clutch of Hungarian Dances, here Janowski makes the programming choice sound sensible. In fact, these are delightful performances of the dances (those orchestrated by Brahms and Dvorak, to be exact). I'm very glad to have them! Incidentally, the Pittsburgh/Janowski recording of Brahms' Second and Third Symphonies also came out this year, and if I expanded this top five to, say, a top six, it would also be on the list. 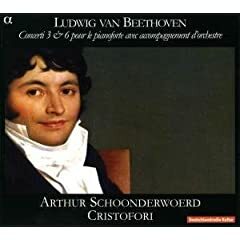 Like the Oscars, this isn't really so much a vote for this disc as a vote for Alexandre Tharaud, a superb young pianist with great lyrical tone and a healthy fondness for mixing Chopin with Mompou on disc and in recital. This is a beautiful CD for sure, although I thought the fourth prelude came across rather "fake"; if I'd heard Tharaud and Jean-Guihen Queyras' collaboration on the Debussy and Poulenc cello sonatas, though, that would probably be in this spot instead. I agree with Mr Laurson's citation of the Langgaard Symphony No 1 on Dacapo; a good time was had by all, both performers and listeners, in the making of that disc. 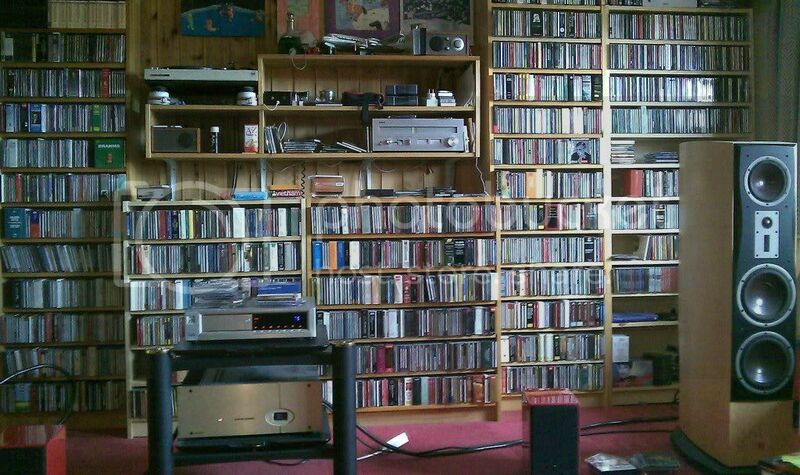 here is an interesting compilation from Jens F. Laurson on Ionarts. 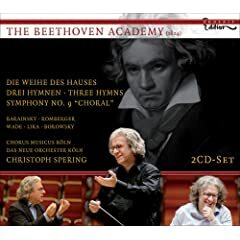 In the end I’ll have to go with Böhm, whose sparse Bruckner discography contains only the Fourth (on Decca – a reference recording, also), the Seventh (trice), and the Eighth (also trice) of which this recording the finest Seventh. and 3rd with VPO, also on Decca, was coupled with 4th on Double Decca, possibly still available. There were so many recordings in the end, I had to cheat and expand my list. Strangely enough, the Tharaud Preludes didn't even make that list, although I love the pianist. (He had been my top choice in 2006 and in 2005. 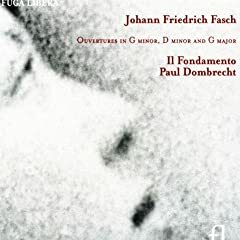 Daniels' Bach disappointed me - live and on CD. The Cantata bits are more pleasing than the parts from the Passion(s), but ultimately I'll go back to Daniels only for Handel, not Bach. I do like the ClassicsToday choices - although three of those discs I haven't heard yet. A passionate performance from Spering and Das Neue Orchester. Clear and transparent sonorities lend themselves to the power of these works. The '6th' piano concerto is finally given the attention it deserves, unfortunately without its trademark cadenza. Thanks for cheating, Jens That "almost-best-of list" is perhaps even more interesting than your official Top 10. This has been a very good year. Thanks for the list, Brian. Four out of five have now been placed on my wishlist. My ten best purchases this year. The Chandos d’Indy + the Roslavets Chamber Concerto on Hyperion were close calls and on another occasion might well have ended upon the list! I have excluded box sets. Thanks for cheating, Jens That "almost-best-of list" (here) is perhaps even more interesting than your official Top 10. This has been a very good year. 1) Foulds "A World Requiem" Chandos 5058 Soloists and Chorus, BBC SO Leon Botstein. 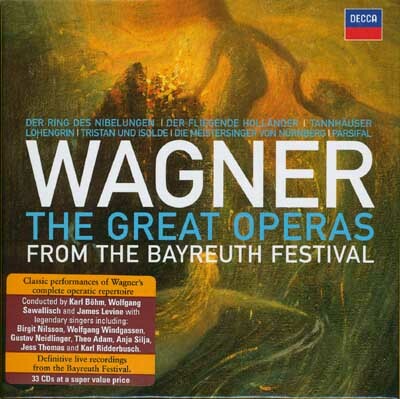 After laying unheard for some 80 years, A World Requiem was performed in November 2007. The recording of that event was soon released by Chandos. Intended to be performed annually to commemorate WWI, this pacifist leaning work begs comparison to Britten's "War Requiem". Wonderful performance, fascinating work. There is talk of performing it publicly again soon. 2) Ernö Von Dohnányi Violin Concerti # 1 and 2 Naxos 8-570833 Michael Ludwig Violin, Jo Ann Faletta Royal Scottish National Orchestra. Lyrical, dramatic, virtuosic works, # 2 written in 1949 is a bit darker and spicier harmonically. 3) Music for Shakespeare's "The Tempest", by Arthur Sullivan and Jean Sibelius Reference Recordings 115 Michael Stern Kansas City SO. Yes I am prejudiced and have an autographed copy. 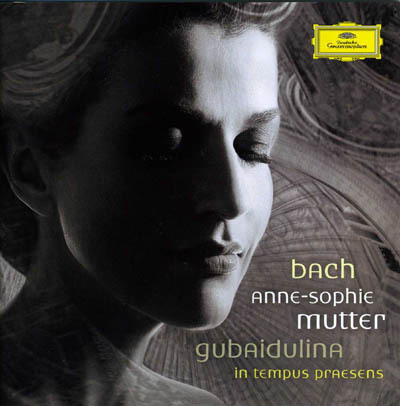 All that aside, this is a well done recording of some spectacular seldom heard music. 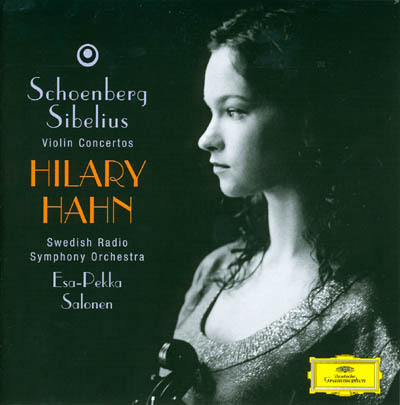 The Sibelius is of his late years and is brooding, dark and powerful. The Sullivan is early (he was 19) but mature and colorful. Just so you don't think I am just highlighting a local favorite, Classics Today gave it their highest rating of 10/10 for performance and sound. Vonk got a bad rap in St Louis. The reticent and dour Dutchman wanted to make music, not fundraise. The Orchestra almost went bankrupt and Vonk died way to young of ALS. His recorded and musical legacy is just now getting the acclaim it deserves. This is a spectacular Turangalîla. 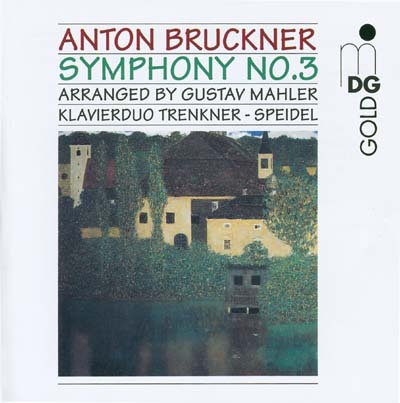 5) Mahler Symphony # 4 St Louis SO 5186323 Hans Vonk, Esther Heideman, soprano St Louis SO available as above. Same comments apply here. A great performance, one of the best. Heideman is child-like without being cloying and sweet. 6) Arnold Philharmonic Concerto, Symphony # 6, Beckus the Dandipratt Overture, ETC. 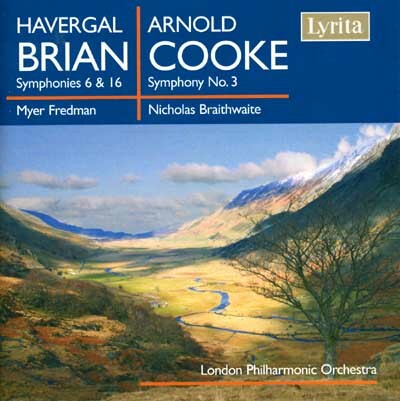 LPO 13 Vernon Handley London Philharmonic. I heard Haitink perform the Philharmonic Concerto when it was new, written for the orchestra in 1976 for its American Tour. A section of the second movement, a fascinating duet for harp and snare drum, stuck with me for over 30 years. Recordings were none or elusive until I found this 2006 release. The passage I remember is just as harmonically and rhythmically interesting as I remembered. Now LSO has gone and released a Haitink recording of the work... gotta have that one too. Second edition of the symphonies of this somewhat neglected French master. The 2nd is every bit as fine as the much more well known 3rd, but with its dark texture and overall gloomy mood, it is more of a challenge to listen to. But the rewards in doing so are many. If you like Mahler, Strauss or just plain long, richly scored works, this is your ticket. Von Hausegger wrote only a few orchestral works, so he put it all in this son of "Alpinesinfonie". Müller-Schott is a fine cellist and this dark, brooding yet satisfying Elgar approaches the level of the legendary du Pré recording. I don't much care for Walton, but this is a convincing performance of his weakest concerto. If a performance makes me enjoy Walton, it has to be good. Previn's experience and ease with Walton and English music contributes a lot to this outstanding recording. This disc, 1st of a projected series, shows that d'Indy wrote more than his once famous but now rarely heard Symphony on a French Mountain Air. "The Jour d'été à la montagne" (1905) is another mountain inspired show piece, Strauss' Alpinesinfonie through Debussy's ears. The other works, "Souveniers" and "La Foret Enchantée", are colorful and quite well done. 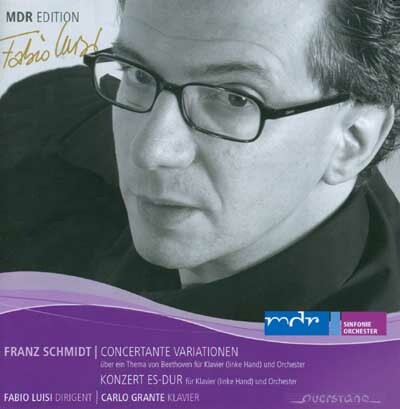 Volume 1 of the complete Chôros from Brazil's premiere composer. 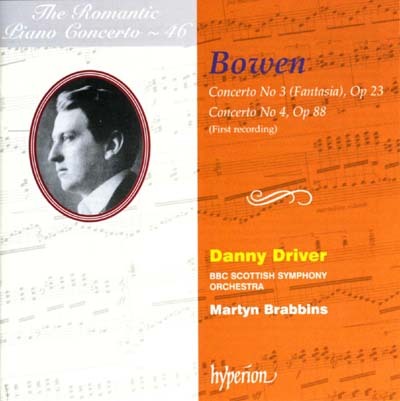 # 11 is a huge hour long continuous piano concerto that has to be taxing to play, but a delight to hear. # 5 "Alma brasileira" is a short solo piano piece. # 7 is a wonderful and exotically scored tone poem. Wonderful stuff! The other two discs in this series are equally as good. 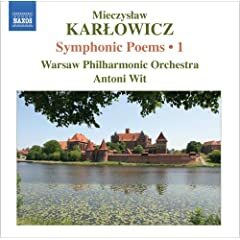 Karlowicz would have been a major voice in Polish music at the turn of the century. His death at 30 left us with just a few jewels such as on this wonderful disc. Wit milks this exuberant music for all it is worth. Released in 1999, I first heard Melartin's Mahler-esque, romantically charged symphonies for the first time a couple months ago. Melodic, well crafted, a little less dark and quirky than his contemporary Sibelius, his symphonies do have an unique voice and are well worth exploring. My other half bought me the Miaskovsky set for Christmas and I've really enjoyed what I've heard so far, although I've not made much of a dent in the set. Which symphs would you particularly recommend to a newbie like me? 2008 was a pretty good year for me, though of course I bought mostly discs released in years before 2008. Since I'm far too lazy to list only the new releases, I'll include my ten favorites, and then another ten or so for good measure. I wasn't aware of this release; samples do sound very good. It goes high on the wishlist. Todd let me just jump in here and say well done! I picked up that Bach sacred cantata set (Leonhardt) a few months ago and have just started playing them. WOW incredible! I new I hit the jackpot with this set just by playing the first CD! I love the raw interpretation , this is how Bach wanted his cantatas to sound (an all boys choir on HIP instruments)! PS: anyone based in London looking to buy this set head over to HMV on Oxford Street- this set is on sale £100 for 60 CDs!! Now Sarge if only you can convince our Dr. Karl Henning (he bought it last year) to explore this set further I'd be very happy!! That's a big set. Give him some time. One doesn't digest the Ring or Parsifal in an afternoon, mind you.